As the first Program Director for Networking at the US National Science Foundation (NSF, 1985-86), Dr. Jennings was responsible for the design and development of the NSFnet Program. Jennings developed a vision of an open network of networks – an Internet – designed to serve all of US research and higher education. Jennings’ selection of the DARPA TCP/IP Internet protocol suite, and his insistence on its deployment across NSFnet, was a key contribution. The NSFnet Program stimulated the development of many regional research and education networks, and it connected them to campus networks, to supercomputing centers and their networks, and to the first (interim) NSFnet backbone (and later to US federal agency networks, and international research and education networks). NSFnet eventually became a major part of the Internet backbone. 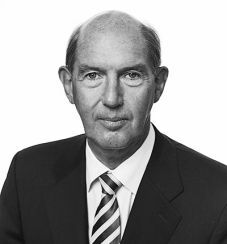 As Director of Computing Services at University College Dublin (UCD, 1977-1999), Jennings served on several national and international research and academic networking initiatives in Ireland and Europe. He was responsible for the development of the .ie domain name services. In the 1990s he became interested in angel investing, and he left UCD in 1999 to pursue his commercial interests. He served on the Board of ICANN (2007-2010), and chaired the Irish National Centre for High-end Computing Oversight Board (2006-2012). Jennings earned a PhD in Physics (Astrophysics) from UCD in 1972.